Upsell, or upselling, is an approach to increase sales by inspiring customers to buy more upgraded and expensive models of product lines. This technique may encourage the customer to buy a 43-inch TV instead of a 32-inch TV, to travel on a 10-day tour instead of a 7-day tour, or to talk on a 60-minute tariff on mobile instead of 30 minutes. Don’t confuse upselling with cross-selling, in which the seller sells another product in addition to a purchase. For example, the seller may offer the consumer the option to buy socks for your shoes, nails for your hammer, and so on. 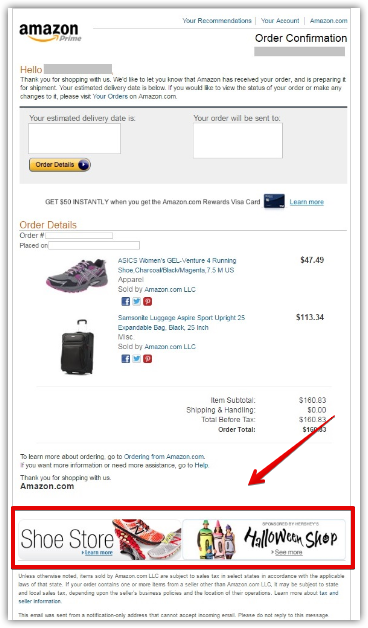 Email marketing companies usually use upselling in emails as a response to subscriber actions in the online store, like in the email below. In this email, upselling is done through this link for more expensive shoes. Upselling in emails, especially if it is used with personalization, is a great tool for increasing the profits of the online store. Remember that it's important to offer customers the best alternative, i.e. those goods that are really worth paying a little more for. Rate this article about "Upsell"
If you are interested in "Upsell" you might be interested in our bulk email service.